These are the new Lindvior CT3 Lineage 2 skills beeing added, also here you`ll find the skill changes and class changes. Awakening system changed,you may be awakening to a new class, a total of 34 classes added! Practically, your awakened class can specialize to one of the old classes, for ex Othel Rogue can be Othel Rogue WIND RIDER , TYr Warrior - TYr Warrior Duelist and so on. Practically they reverted the system in a messed up way. The text below was translated from korean, sorry for the bad bits. Nevertheless you can make a good ideea about things to come. Phoenix Spirit Their physical / magic defense increases and shot and a chance for 10 seconds every party member's Physical / Magic Defense is increased. Holy Sacrifice Restores the target's HP by consuming their HP. Shield the equipment available. Wide Shackle Zaphod hold and stimulate the attack desire of surrounding enemies, nine seconds. Grand Shield fortress Shield Defense increases. Revenge Spirit Shot at a chance to increase their physical / magic damage, and increases all party members' physical / magic damage 10 seconds. Summon Blood Panther Blood fan manual summoned together to fight. Python algorithm Normal attack and skill attack on success, a chance to regain their HP. Eva Spirit Their physical / magic defense increases and shot 10 seconds a chance to increase Physical / Magical Defense of all party members, receiving the effectiveness of healing skills. Thurman Poem cubic Poem Cubic to summon. Life Cubic owner of HP recovery magic. Thurman Mind cubic Mind Cubic to summon. Siegel Mind the owner of MP recovery Cubic uses magic. Grand Guard Stance Shield defense probability increases. Sol Spirit Shot at a chance to increase their physical / magic damage, and increases all party members' physical / magic damage 10 seconds. Thurman Poulter KAIST cubic Poulter KAIST Cubic to summon. Reducing the enemy's physical / magic speed magic. Thurman hex cubic Hex cubic summoned. Reducing enemy armor using magic. Lightning Flare Lightning down on horsepower was added to the non-to give property damage, 5 seconds immediately there is a state of paralysis. Shield the equipment available. Sonic Triple slash Gather momentum by raising the target to attack damage. Maximum of three energy consumption damage will rise by 30%. Swords / maces / window / Fighting weapon / dual blunt / Dual Sword equipment available. Grand Combat Master Maximum CP / HP increase. Dual Sword Mastery Dual swords / dual blunt instrument when the damage is increased. Wild peurobokeu Reduces the immunity of the window, and attracts a wide range of enemies around him. Swords / maces / window / Fighting weapon / dual blunt / Dual Sword equipment is available. Rapid Fist Fury Dramatically increases the speed of his attacks. HP is consumed continuously. Swords / maces / window / Fighting weapon / dual blunt / Dual Sword equipment is available. Bayison Cry Damage, physical critical, critical damage is increased. Swords / maces / window / Fighting weapon / dual blunt / Dual Sword equipment is available. Grand Feast Mastery Fighting weapon damage increase. Primal Rage Damage increases 10 minutes. Swords / maces / window / Fighting weapon / dual blunt / Dual Sword equipment is available. Craft Mastery Quantity of items acquired during production with a low probability of doubles. Infinity Rush Dash in front of enemies and 9 seconds is made to fall in a state of shock. Swords / maces / window / Fighting weapon / dual blunt / Dual Sword equipment is available. Maximum Disarm Five seconds to disarm your enemy and attack / magic power will drop. Swords / maces / window / Fighting weapon / dual blunt / Dual Sword equipment is available. Bloody Soul PVP damage is increased. Spirit Mirage 30 seconds stochastic frees himself to attack enemy targets. Dagger / dual dagger equipment available. Maxima Blow Increase the success probability of the attack 20 seconds underbelly.Dagger / dual dagger equipment available. Grand Vitality Max HP, CP is increased. Shadow Dodge Attack 10 seconds near / ranged physical attack skills have a chance to dodge. Dagger / dual dagger equipment available. Maximum dynamite Mortal Increase the probability of successful attack one minute underbelly.Dagger / dual dagger equipment available. Grand Critical Chance Increases the movement speed and skill reuse time decrease. Reflect attack 10 seconds for a melee physical attack skill damage has a chance to return to the relative Dagger / dual dagger equipment available. Grand critical power Critical damage, move speed is increased. Plenty more Robbing, dealing damage to the target item. Dagger / dual dagger equipment available. Plenty more Festival Robbed around, dealing damage to the target items. Dagger / dual dagger equipment available. Great knife position Increase bow / crossbow equipment damage, attack speed, defense 30 minutes. Grand Hawk Mastery Bow / crossbow equipment damage, increased. Rapid Fire position Increase bow / crossbow equipment damage during 30 minutes and decreases skill reuse time. Grand Silver Mastery Movement speed is increased. Dead Eye Position Bow / crossbow equipment damage, skill power increases 30 minutes. Grand phantom Mastery Skill power increases. Soul Position Increase bow / crossbow equipment damage during 30 minutes, PVP damage is increased. Grand Sense Mastery PVP damage is increased. Grand Magician off Magical power, maximum MP, MP recovery speed increases. Grand Magician off Skill reuse time is decreased. Grand Magician off Increases magic power. Physical Soul Barrier 20 seconds, increase their physical defense. Grand Magician off Magic critical chance increases, PVP damage is increased. Mass Song Of Silence The symphony of silence. 10 seconds, which block all the enemies' physical / magic skill. Song of the Shield Their Physical Defense 30 minutes, six properties increase bow / crossbow attack on immunity debuff immunity defense. Grand Song of Mastery Physical Defense and Magic Resist increase skill power increases. Mass Dance of Medusa Performances evoke the illusion of Medusa. Throw around 10 seconds in a petrified state. Dance of dynamite 30 minutes, his damage, attack speed, physical critical chance, movement speed increases. Grand Dance of Mastery Increase the physical damage and magical skill power increases. Mass Change Body 10 seconds to disable the enemies attack and movement speed reduced by mutations make The mutated target is released under attack damage and mutations in the state brings. Grand Original Advantage 5% reduction in the time it takes skill reuse skill power and a 5% increase. Final Freezing Flame Intense cold kindle a flame of fire. 10 seconds, the enemy's HP decreases. Combat Cry Attack, defense, magic power, magic resistance increases the power and skill increases. Constantly, depending on the level of MP is consumed. Brave of wave Agde Rio Increase the maximum CP of 30 seconds hyeolmaengwon recovery. Mass block Medicaid Enemies around the target enemy's normal attack for PVP at 10 seconds blockade. Mass limit PVP at 30 seconds of the enemies surrounding the target and the target to limit the CP / HP / MP recovery. Chamber of inbin metastability Frees the invincibility effect of PVP at the target, and the target nearby enemies. Grand Magician's mastery Maximum MP increased by 10%. Thurman Wynn Kai the Cat Win Kai the Cat summoned. Summoning consumes 2 points. Thurman win the King Cat To win the King Cat summoned. Summoning consumes 2 points. Thurman Win Queen of the Cat Win Queen of the Cat summoned. Summoning consumes 2 points. Final services from Heist 30 minutes and all your pet's attack speed increases. Thurman Win Tome low Win Tome low summoned. Summoning consumes 2 points. Thurman Win Magnus Win Magnus Summon. Summoning consumes 2 points. Thurman Win Seraphim Win Seraphim Summons Summoning consumes 2 points. Final services from Deathwhisper 30 minutes all of your pet's critical damage increases. Thurman Win Night Shade Summon Night Shade win. Summoning consumes 2 points. Thurman Win spectral Road Win spectral load summoned. Summoning consumes 2 points. Les Thurman Win Soul Les win Soul Summon. Summoning consumes 2 points. Final services from Dynamite 30 minutes all of your pet's attack power increases. Miracle of Benedict Sean HP, CP, hyeolmaengwon recovers all. Schedule MP or less can be used. Mass Mana Gain MP of all party members receive 30 minutes the power increases. Fast Spell Casting Skill reuse time is decreased. Grand Mana Gain MP of all party members receive 30 minutes the power increases. Mind Recharge Selected except for your own Recovers all party members' MP. Grand Combat - Magician Review Magical power, increasing the magic skill use MP consumption is decreased. Of awakening class roll has changed, in order to clarify the oseltamivir log class 'Plenty more' skill has been deleted. Item rewards immutable bijeonseo been deleted Plenty of Enchantment skill, according to the figures was paid. Oseltamivir Fortune Seeker class skill enhancement Plenty more skill again can be learned. 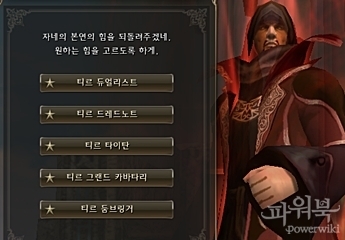 - ORC database Enchanter Enchantment by Poem / Harmony / Sonata skill, and delete, according to figures Enchantment Immutable bijeonseo items as compensation was paid. Database domineyiteo existing Poem / Harmony / Sonata skill is gone, fret not used to target hyeolmaengwon Poem / Harmony / Sonata skills have been added. Paid to skill enchant delete immutable bijeonseo through safely to the next step to skill enchant. - New pet according to the class attribute has been added. Cubic-class, according to the characteristics of new skill has been added. 2 Both the SP cost of the skill to be learned at level 85 has been changed to 0. 3 Apply a debuff skill lasts, depending on the probability of success when the system time change has been deleted. Now debuff skill, depending on the probability of success, success is determined only whether the specified time duration. 4 Change was diminished effect debuff (can not act). Original: If you apply 15 seconds after the first debuff debuff applied the same family (six system / Psychiatric) the probability of success is reduced, and more than four times from complete resistance effect is applied. - Change: If you apply 15 seconds after the first debuff debuff applied the same family (six system / Psychiatric), the probability of success is reduced from more than three times the minimum probability of success. Diminish the effects of some skill set has been changed as follows. 5 Awakening of the class was a new awakening skill enhancement class before so that you can change. 6 'Fatal temptation' skill has been changed as follows. Were applied with the buff applies fascinated debuff has been deleted. Increasing the duration of 30 minutes, cooldown reduced to 5 minutes. A little bit more comfortable, you can use the skill. 8 Of the following classes to improve the character balance skill effect has been changed. - Hate the impact of large-scale PVP melee class, but complementary skills by dropping some drinking was excessive because the inevitable adjustment. Assassin concept to fit the target blow Skills of damage that could threaten the formula was changed. Also increase the probability of success of the debuff skill, '' shadow flash, Fakes Death Shadow 'Chase' and 'shadow as the skill of the probability of success approaches by specifying a fixed probability Meanwhile, the battle to increase the utilization of the skill if the current MP consumption costs bored off the battle is too low, the consumption adjustment was an increase in the cost. a. Impact of all blow skill in the damage calculation method of receiving Critical Damage Reduction '' effect was reduced.Blow skill's damage was upward. Stance in the series as a toggle skill at a time, only one of the effects seems mateuna apply problem used in conjunction in order to fix it, buff type skill has been changed. a. Ranged skill, such as multi-rokon rokon, was up to the bow and range. b. Stance skill to strengthen the skill has been changed to toggle skill. Overall damage - so they save quite a powerful concept of ranged magic dealer, skill and power upward debuff skill, power, and increase the probability of success was. b. All the offensive skill increased to the grid, the same as 1100 Archer. Debuff duration increase and more comfortable fighting through pyeongta damage increase to be reinforced, and dropping some drinking skill effect has been changed. , 'Incredible Leeds Poem' skill MP consumption by increasing selection of highly effective healer class, Hill skill than seeing issues can be utilized so that if changes were made. a. Monsters have inflicted on pyeongta damage was 10% higher. b. Database Poem of the Enchanter skill has been changed to reflect the party only. c. Each character and NPC debuff which apply differential effects were applied not duplicate the problem was fixed. As the rate of decline in pet numbers can summon up to two to adjust, but, depending on the level of pet battle to raise stats combat efficiency of the existing and trying to maintain. Law, using both hands, in order to expand the width of the weapon selection blunt damage when worn to rise further changes were made. a. Mark four kinds of debuff skill has been improved as follows. - The skill duration has been changed to 10 seconds. - Skill reuse time has been changed to 5 seconds. - Skill changes were equally powerful. However, each skill unique effect is maintained. b. Mark Retriever skill has been improved as follows. - Skill reuse time was decreased. - The skill power was increased. Consider the balance of balance with other classes, soul storing and Acumen Grove michakyong or without options, need to be adjusted for maximum magic to keep pace freakish phenomenon. Just Greaves / Robe to be applied only when forced to wear certain armor to make it impossible to avoid, and the recommended skill effects that increase the speed of magic for armor has been changed. 1 Racial skill acquisition, and how the rules have been changed. Racial skill has been changed as follows. 2 Existing active species characteristics of skill has been changed to 'revelation skill. Persistent Off all debuffs for 10 seconds immunity. Frederick Vision 15 seconds 90 physical / magic evasion increases. Acceleration 5 seconds and turn off all of his debuffs the enemy does not target. Savage Damage by 10%, magic power by 20%, attack speed by 10%, magic speed increased by 10%, and 60 seconds Physical / Magic Defense reduced by 10%. Undying Will Receives damage when HP is less than or equal to 30% of 5 seconds will remain invincible. 5 minutes, once proc their effect. Endurance 460 HP per second attack to return to the target 50% of the damage received 5 seconds to recover. Soul Protection 20 seconds, the defense debuff attack three times. 3 'Revelation skill' character is the awakening of the monks 'chaos' if you can learn by selecting the two species. 4 'Revelation skill to acquire MEN More' chaos ',' Forman of chaos - for dual-class items, and need awakening when dual / main class, two each will be paid. 5 '1 To give one hundred million 'Athena' revelation skill of the monks 'chaos' can be initialized. MEN More 'chaos' can be initialized must be exhausted. 1 Each class the ultimate effect of the skill has been changed as follows. Speed ​​in attack speed, magic skill cast time has been changed to be affected. Blessed majeongtan jeongryeongtan, the power of the skill has been changed to be affected. 1 Arousal system may be awakening to a new class, a total of 34 changes. 1) profession is the same as the existing character of the same occupation and stone giants' class to a new awakening former can be. Awakening class change can be a new main class must subclass to change the class of a new awakening. - 'Tyr Maestro' and 'database domineyiteo' can only choose the main class. 2) awakening character class to a new awakening in the tomb of the soul, 'Hardin', you can change. Hero, or a hero, when in standby mode, you can not change the class. 3) dual class by saying the island's 'Leah slow' can be reawakening. - The reawakening of the dual-class can be a new awakening to the class you have to change the main class. Existing dual-class group of the same class as the main class and can not be selected, but now the main class and the same class selection is impossible. 2 'Hardin', you can acquire the awakening of chaos is possible to change the class 'integer' 2. Other awakening class within a class group of chaos 'integer', 'Hardin' to go to, you can change. - The essence of chaos 30 is a fixed-term items. - Ruler of the Zephyr updated after the acquisition / use Essence of Chaos - dual for a class of dual-class. 3 Arousal system changed according to the strength of the class' sealed weapons no longer paid does not. Existing sealed the power of the class of 'weapons' and 'stone of destiny' all the items have been deleted. 4 System was improved vitality. - Lower proportion to level up and reduce the burden on the vitality vitality system. 1) vitality bonus has been changed from 300% to 200%. Was - regardless of the ongoing hunt to reduce the gap according to the presence or absence of vitality vitality so that you can change. Reduced vitality bonus, depending on the monster's base experience reward was increased. Therefore the same as the existing vitality when hunting monsters to gain EXP and experience higher than the existing absence of vitality can be obtained. 2) decreased vitality points, the rule was changed. - Less than level 85 monsters more vitality points is reduced. Level 85 or higher vitality points when hunting monsters reduced to less. 4) Katia acquired experience of the Labyrinth (Party) boss monsters has been changed. SP required to raise clan level to level 1-5, the current in order to keep the meaning of the clan maintained. 6 Change was level 40 from level 85 to level up between the amount of experience required. Interval from less than level 85, level up the time it takes to balance so you can have the experience required to level up has been changed. 7 If their evasion is higher than the target of the hit, the hit to attack when suffering damage larger effect was removed. 8 Bow / crossbow ranged physical damage, depending on the distance that the damage to the differential method was deleted. Ranged physical attack damage is not affected by the distance. 9 Piece of 'chaos' quests completed 'quest for the start of another fate' sub-class, the same class as the main class and series, if payments. Dual class a character has a piece of chaos in the tomb of the soul, 'Hardin' can change within the same occupations. - Exhausted after the chaos of an integer can be used in the pieces of chaos.